An International Labour Organization (ILO) study says that migrant workers account for 150.3 million of the world’s approximately 232 million international migrants. The term “migrant worker” refers to all international migrants currently employed or unemployed and seeking employment in their present country of residence. The report, ILO Global Estimates on Migrant Workers, adds that migrant workers account for 72.7 per cent of the 206.6 million working age migrant population (15 years and above). There are 83.7 million men migrant workers and 66.6 million women. The study acknowledges that labour migration is a rising policy priority in today’s globalised world. There are two main factors driving migration at present—economic hardship and geopolitical crises leading to the lack of decent work. However, in many nations ageing populations and declining labour forces are also contributing to the growing mobility of workers. Migration flows have also changed over the past few decades, growing significantly in some corridors and between countries of the South, the reports adds. Almost half (48.5 per cent) of migrant workers are concentrated in two broad sub-regions, Northern America and Northern, Southern and Western Europe. These two sub-regions together make up 52.9 per cent of all female migrant workers and 45.1 per cent of all male migrant workers. The study also examines the distribution of migrant workers in broad industry groupings. The vast majority of the workers are in the services sectors, with 106.8 million workers accounting for 71.1 per cent of the total, followed by industry, including manufacturing and construction, with 26.7 million (17.8 per cent) and agriculture with 16.7 million (11.1 per cent). Among all migrant workers, 7.7 per cent are domestic workers. The report highlights the significant global numbers of migrant domestic workers and the marked gender disparities in this sector. Domestic work is one of the least regulated sectors of the economy. 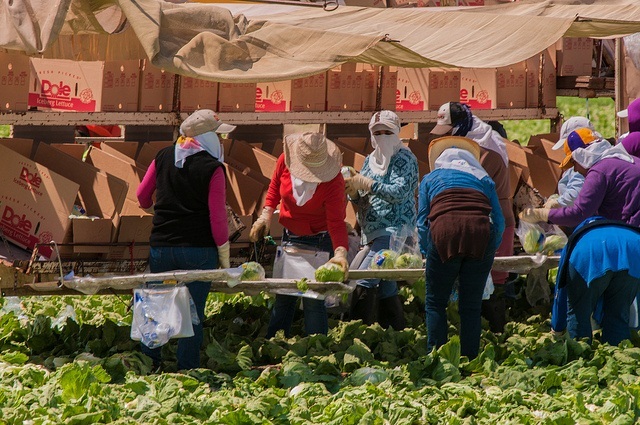 Due to the concentration of migrant women workers and relatively low visibility of the workforce in this sector, multiple forms of discrimination are found. Of the estimated 67.1 million domestic workers in the world, 11.5 million, or 17.2 per cent are international migrants. About 73.4 per cent (around 8.5 million) of all migrant domestic workers are women. South-Eastern Asia and the Pacific host the largest share, with 24 per cent of the global number of female migrant domestic workers, followed by Northern, Southern and Western Europe, with 22.1 per cent of the total, and the Arab States with 19.0. The report draws an interesting feature—the male−female differences in the distribution of migrant workers sector wise. For both the sexes, agriculture accounts for almost exactly the same proportion (around 11 per cent). However, men are more often engaged in industries than women (19.8 per cent versus 15.3 per cent), and less in the services sector (69.1 per cent versus 73.7 per cent).